Utah receives high marks on the Digital Report Card- a project headed up by former governors Jeb Bush and Bob Wise. Having achieved 49 out of the 72 policy metrics in total, it’s No. 1, tied with Wyoming. 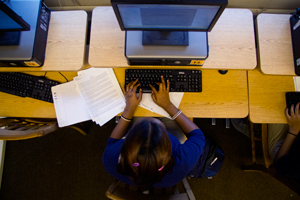 Online learning might be Utah’s platform for national leadership in education. But the current education system is far from being all roses. A study by the Utah Foundation and Intermountain Health Care shows strong public concern over public education. One major issue is low state funding for education. On the other hand the correlation between education and spending may be weak. But the quality of education is more certainly questionable. An assessment revealed 52 percent of Canyon School District alums needed remedial math “to make it as” Utah Valley University students. Our state is now a national leader in online education. It must maintain and extend that lead. Many credit the Statewide Online Education Program — passed in the last session and sponsored by Sen. Howard Stephenson and Rep. Brad Daw — for this advance. But this is no time to get complacent. 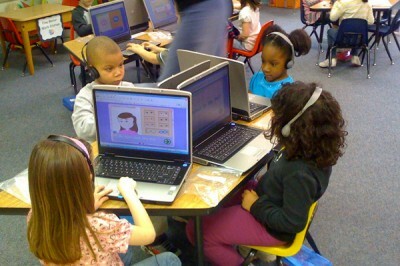 Education officials and lawmakers need to press forward in 2012 and build on this lead in online learning. Let’s face it, Utah won’t be able to really catch up to other states with more money and fewer children. What Utah can do is use the foundation of the Statewide Online Education Program to improve, while increasing efficiency and thus cutting costs. Moreover, the typical teen spends 11 hours a day plugged into electronic media, according to data presented at the Parenting for Hope conference in Park City. As long as parents let the electronic media so dominate their kids’ lives, a lot of kids will continue to be dumb as dirt. Parents are going to have shake their children free from the clutches of Facebook and such and hold them accountable for their grades. Digital Report Card is issued by Digital Learning Now, a project of the Foundations for Excellence in Education and the Alliance for Excellent Education.